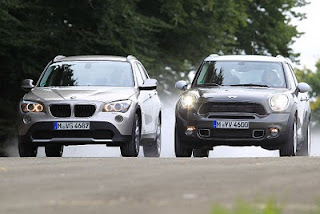 There just so happens to be a significant increase in demand for the new X1 from BMW. The problem...that the demand is happening in Europe. That means that production will not stop, but just be directed towards our oversea countries. 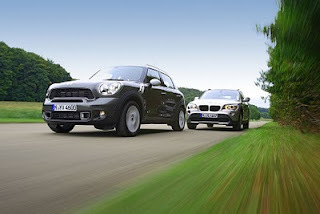 My suggestion, get the Mini Cooper Countryman. With a little more height than the X1, storage room is only 350litre than 420litre with the BMW. The wheel base between both is a difference of about 5 inches putting the X1 just ahead in size. Don't forget about your passengers thought especially in the back seat. 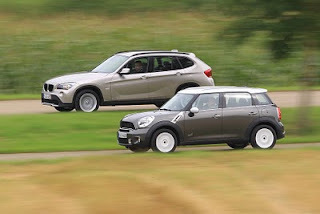 The Mini has more leg room for your back seat friends even though there is only room for two back there, their cup holders are on a sliding track separating the two seats. It's something different than the common driver with the BMW. But for something different to have and not having to wait for what you want; the Countryman is right up your ally. Plus don't forget that your getting a Turbo in the S model. Mitsubishi Eclipse and Gallant to be "Phased Out"